You are attending a 70 year old male on the corridor of a busy emergency department. GP referral with vomiting and headaches after an unwitnessed fall in nursing home. He is currently on Dabigatran for atrial fibrillation. Background medical history of Alzheimers, Ischaemic heart disease, hypertension and hypercholesterolaemia and previous ischaemic strokes. He starts rigoring whilst in the middle of the department and is moved to resus for assessment. His airway is patent. O2 sats 93% on room air, resp rate of 25. BP was 115/75, Pulse 119. GCS 14/15 – his baseline. Clinical exam of lungs, abdomen, heart and MSK were NAD. Chest x ray was poor quality but NAD, his urinalysis showed Leucocytes 3+, nitrates positive, Ketones 2+. The sepsis 6 pathway was started including IV fluids, antibiotics. Cultures were taken. His blood pressure dipped slightly whilst getting treatment which triggered a RUSH exam – (Rapid Ultrasound assessment in Shock and Hypotension). You assess his IVC and do a basic ECHO. What do you see? His ECHO showed a hyperdynamic left ventricle which prompted a further fluid bolus. The other windows were normal except for her LUQ. What does his LUQ view show? This shows a homogenous anechoic area in the splenic parenchyma. The cyst can be primary (10-25%) or secondary (80%). Primary is congenital epidermoid splenic cysts or primary splenic cysts, which are lined with epithelium (true cyst) and usually solitary. Secondary cysts can be due to trauma, pyogenic or splenic abscess, complication of pancreatitis or hydatid cyst. What does the thoracic USS show? There is a small effusion with signs of consolidation in the left lung and is a great illustration of the shred sign, thickened pleural line anterior and air bronchograms. See this 5minsono video for a great intro to lung USS. The cyst turned out to be incidental and the patient was treated for pneumonia. Editorial comment: Cases like this show the value of ultrasound in broadening your differential in the sick, hypotensive shocked patient. 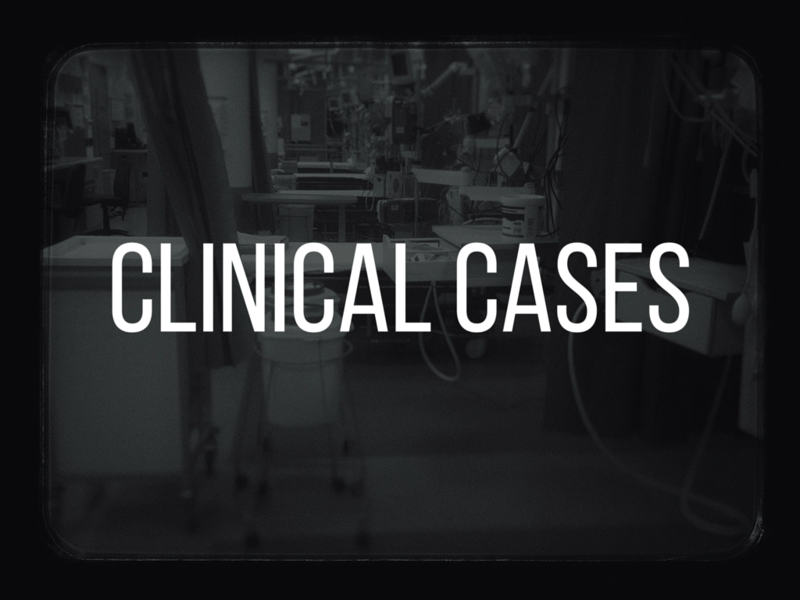 PoCUS suggested two possible causes for the sepsis – pneumonia or splenic abscess. PoCUS will not tell you which one to treat – you still first and foremost need to be a good clinician to know what to do with the information.